Welcome beans…I mean Make Shoppers! 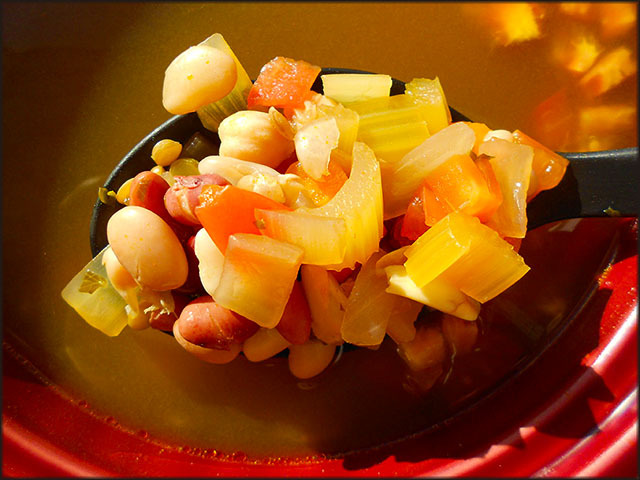 I’ve been so excited to share my Crock Pot Beans and Veggie Soup recipe with you I can’t even type straight. Plus, my paw mittens are always in the way. Oh well…whaddya gonna do about it? Thank goodness for spell check! Just so you know, this was my first attempt with assorted raw beans. I don’t know why I was so afraid to cook with them before…maybe for fear of them not cooking through? So, I learned that soaking them overnight was the trick and the rest was a piece of blueberry pie! Now, I chose to use beans as the base of my soup but you could use just about anything. Potatoes, rice or orzo….whatever pleases you! 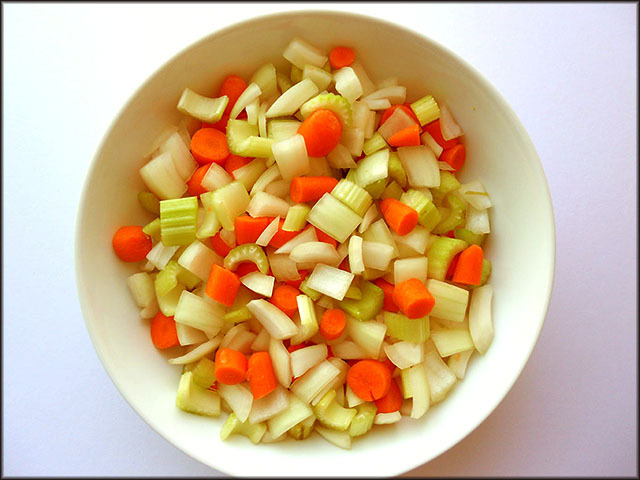 Also, choose any spices and assortment of veggies that are good for slow cooking in a crock pot. Set up the crock pot and turn it to low. 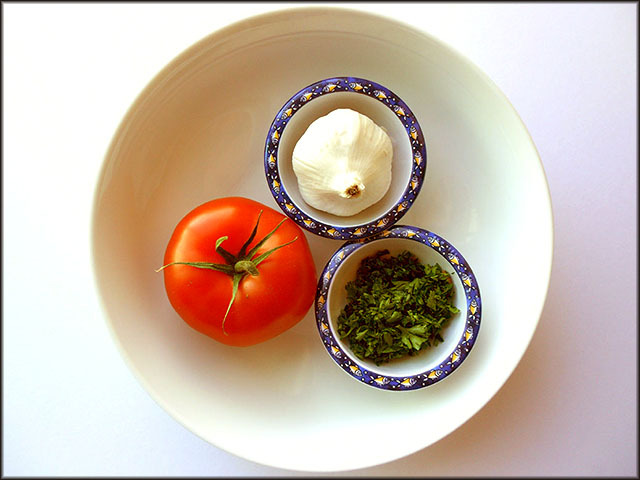 Add all of the ingredients above EXCEPT the tomatoes, give it a stir and cover. To avoid a mushy texture, add the tomatoes during the last 1/2 hour of the cook time. Let the soup cook for about 6 hours and then turn the setting to high and let cook for another 2 hours. I found the extra heat towards the end really softened the beans to a nice texture. If you don’t have this much time you could always set the crock pot to high and cook for less time. Check the beans a few times during the process to make sure they’re done! 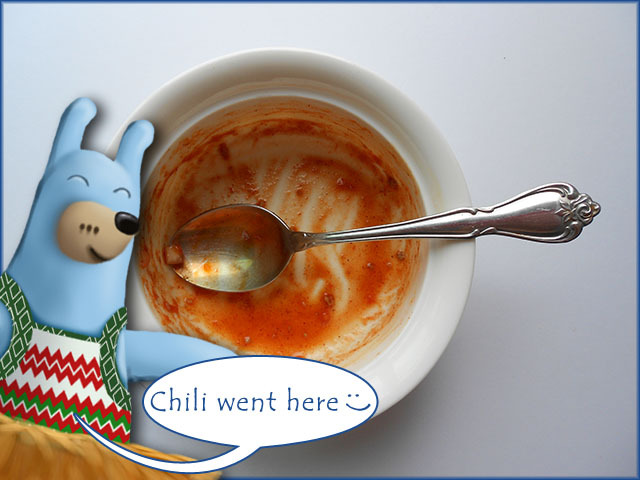 Goodness, Gracious, Great Bowls of Chili! Hi Friends! Today I’m cookin’ in the kitchin’ with my crock pot and makin’ some chili! 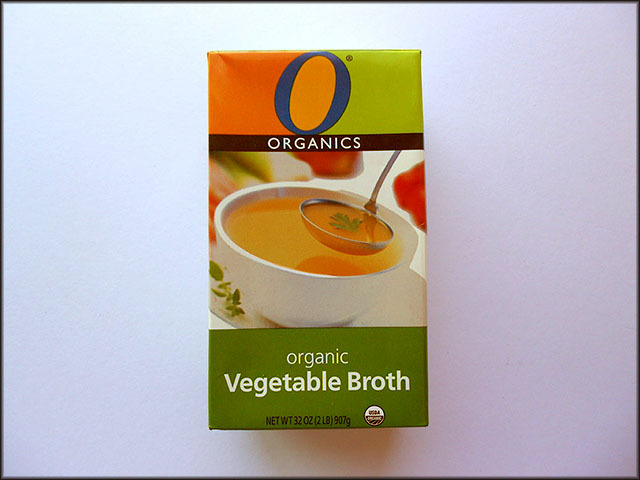 This is a great meal for your busy days when your attention is needed elsewhere. Hmm, that’s probably everyday right? Ha ha ha, well in that case, I promise to make and share more recipes like this one! Turkey and Onion ready to cook! Dice up 3/4 of the white onion. Reserve 1/4 of the chopped onion for garnish. In a pan, pour a little oil- just enough to coat the bottom. Add the onion and minced garlic and saute over med-low heat just until the onions are soft. Aroma should be fragrant! Next, add your ground turkey and increase the heat to med-high. Cook meat through, breaking up any large pieces. Careful not to over cook. 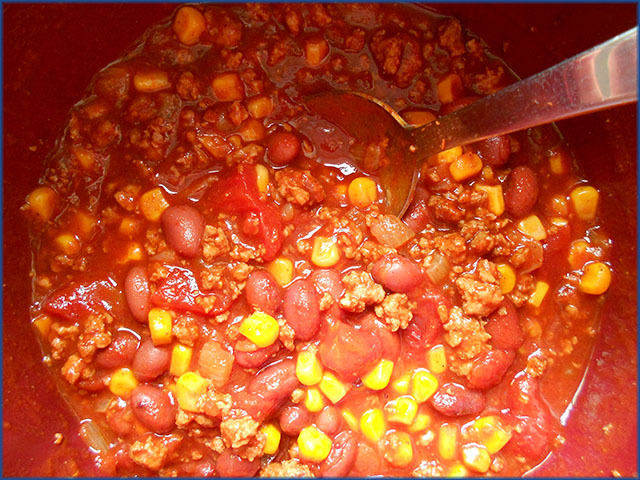 Once meat looks done turn off the heat and add your chili spice packet. Mix well and add a little of the tomato sauce if mixture seems too dry. 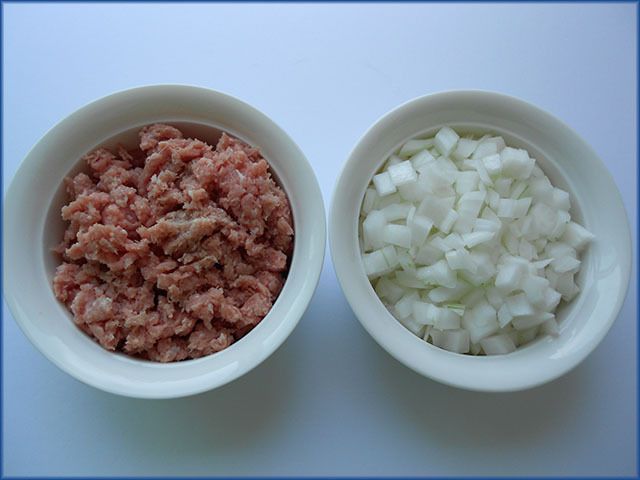 Transfer your meat and onion mix to the already warmed crock pot. Finally, dump in the beans, corn, diced tomatoes and tomato sauce. Fold in to mix ingredients together, cover with the lid and let it cook low and slow, 3 hours. Place the chili in bowls or large squatty mugs. Garnish with the reserved chopped white onion. Other garnish types can be green onion, cheddar cheese or all of the above! Cooked Chili in the Crock Pot after about 2-3 hours. Remember, low and slow! 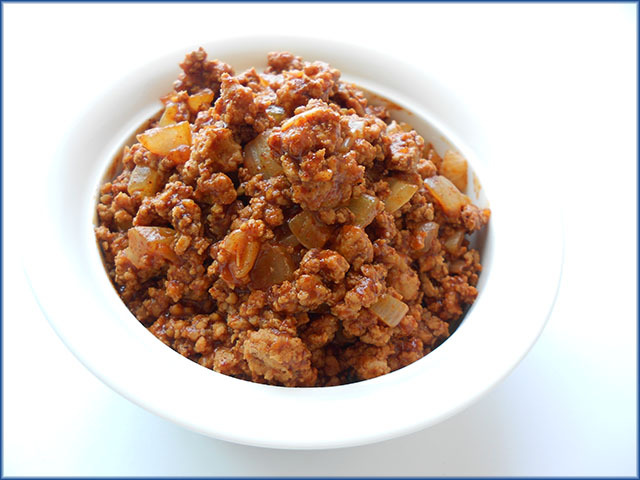 ~ Make your own Chili Seasoning Mix! Add: pepper, kosher salt, garlic power, onion powder, cumin and zesty chili power. Adjust more or less of any spice to your liking. Of course using Turkey is already a healthier start than using Beef, but you can also take other steps to lighten things up! 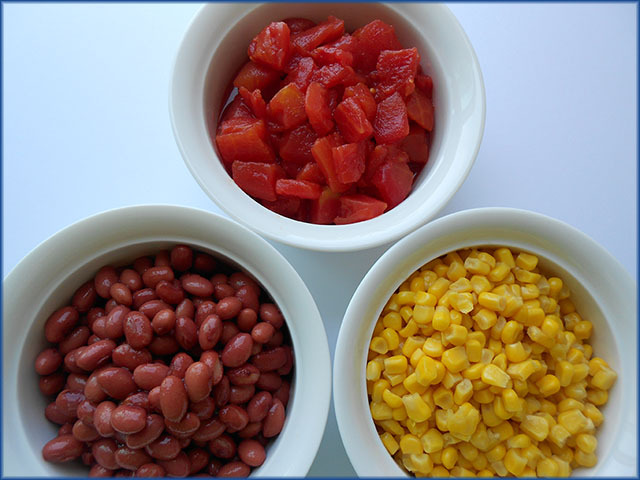 #1 Use less salt and choose “no salt” options for your canned goods or look for lower sodium amounts. #2 The fresher the ingredient the better! Choose live produce over canned options. #3 Portion control. It may be hard to stop eating this delicious meal but less can be more! Especially by making this last 2-3 nights.